Just recently a young, very suc­cess­ful busi­ness man in his late thirties came into my clin­ic in Brisbane. He was a highly qual­i­fied but highly stressed seni­or man­ager in a large organ­isa­tion. He took ill with a dose of the flu last August (about 6 months ago). He has nev­er recovered and he finds him­self, on a daily basis, strug­gling with fatigue and exhaus­tion. He finds that he has migrat­ing pain in his body that can move from his feet, to his hands, to his neck, to his fore­head, elbows, chest and shoulders. This migrat­ory pain is a bit like the “Phantom” – here, there and every­where. This young busi­ness­man is in a bit of trouble even though he is very suc­cess­ful. I talked to him about how often chron­ic fatigue syn­drome will assail an indi­vidu­al who, if you like, is a per­fec­tion­ist to some degree. This is why so many elite ath­letes end up with chron­ic fatigue syn­drome because they are par­tic­u­larly driv­en and “rest” is not a com­mon part of their vocab­u­lary or their life­style. I think in the 21st cen­tury much of this occurs where we’re think­ing that three or four hours of sleep is enough. We drive ourselves over 12–18 hour days, which are not uncom­mon at the top end of busi­ness and cer­tainly is the case with the elite ath­lete with the degree and intens­ity of the train­ing they under­go. What can hap­pen is that the ath­lete or busi­ness per­son picks up a vir­us and, instead of rest­ing and tak­ing it easy, they main­tain their high level of activ­ity because they do not want to “lose ground”. So they fail to help their body recov­er and garner all the intern­al forces to form a block­ade to fight the vir­us. From a tra­di­tion­al acu­punc­ture per­spect­ive, the vir­us can then go deep­er into the body which makes it a lot more dif­fi­cult to get rid of and leaves a leg­acy of aches, pains and over­whelm­ing leth­argy. In my exper­i­ence, Japanese acu­punc­ture has been incred­ibly effect­ive in work­ing to assist this type of patient regain bet­ter health. I’ve worked with Olympic ath­letes and highly stressed, very suc­cess­ful busi­ness people in help­ing them to recov­er their health and I am pleased to say that in almost all occa­sions this has been the case. 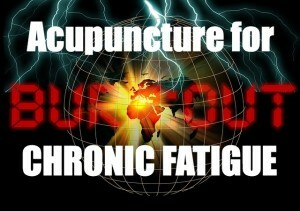 In Japanese acu­punc­ture we address chron­ic fatigue syn­drome in a unique way. We look at it from an East Asian medi­cine per­spect­ive. From this per­spect­ive, chron­ic fatigue syn­drome is what we could term a spleen/pancreas defi­ciency syn­drome. This means that that the trans­fer and trans­form­a­tion of nutri­ents and flu­ids in the body are com­prom­ised. So two things are hap­pen­ing, (1) insuf­fi­cient energy is being derived from the fuel we take on board and (2) the abil­ity of the body to trans­port the energy (that has been man­u­fac­tured) to the extremit­ies of the brain, is impov­er­ished as a res­ult of the body’s pre­dis­pos­i­tion to deal with the pres­ence of the vir­us deep­er in the sys­tem. According to tra­di­tion­al acu­punc­ture physiology, when the vir­us does drive deeply into the body’s sys­tem, this drains the spleen or earth energy – the primary organ/meridian com­plex respons­ible for the immune sys­tem. Then this knock-on effect leads to the leth­argy, the fuzzy head and unclear think­ing, the inde­cis­ive­ness, the gen­er­al fatigue, the mal­aise and the aches and pains in the body. So we call this a spleen/pancreas defi­ciency in the body and we work with ton­i­fy­ing or strength­en­ing this earth or spleen aspect of the meridi­an organ sys­tem while deal­ing with the areas where there is a rel­at­ively excess amount of energy, usu­ally some­where where there is pain and dis­com­fort. 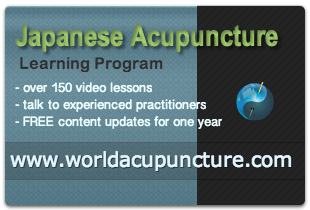 Our approach in using Japanese acu­punc­ture for chron­ic fatigue syn­drome is very dif­fer­ent to the Western approach but clin­ic­ally it has proven to be very effect­ive. If you would like to watch my video on this top­ic — please click HERE! Do you have questions about this article, or would you like to get in touch? Don't be shy and send us a message now!